And the award for Net Impact Graduate Chapter of the Year goes to… The Kellogg School of Management! Congratulations Kellogg Net Impact team! 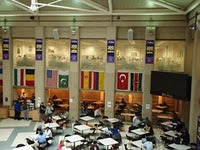 Many of the students at Kellogg realize the hard work you’ve been putting in. And congratulations to everybody on the board that worked hard to make that possible. People like Jessica Porter, Mark Dibble, Marilyn Chen, and Chelsea Katz, all from my Global Immersion in Management Trip to Kenya last spring. Not to mention many others on the leadership team (see link above). Not only does this help your careers as social enterprise professionals, but it also continue to extends Kellogg’s brand in the not for profit space. Hi Everyone, Just a quick note to send a quick congratulations to everyone on the Kellogg Net Impact Team, who recently brought home the Chapter of the Year award at Kellogg. What a great accomplishment!!! Net Impact is basically a not for profit organization aimed at taking social impact to the next level. More formally, Net Impact is a new generation of leaders who use careers to tackle the world’s toughest problems. THEY put our business skills to work for good throughout every sector. By doing so, THEY show the world that it’s possible to make a net impact that benefits not just the bottom line, but people and planet too. Just last weekend, some of the students went to the Net Impact Conference was held. I don’t know how many people went this year but here is the breakdown from 2010 — 2,500 people attended, 129 schools were represented, and 14 Countries and 39 States were there. Likewise there were also 73 Exhibiting Organizations 395 Speakers and 131 Sessions. This year’s conference tackled issues such as (1) creative problem solving and playful approaches lead to serious solutions, (2) where sustainable innovations are championed by those you least expect, and (3) where unlikely partnerships accelerate change, among other things. Over the past decade, the number of businesses interested in social change has taken off. Net Impact is playing a large part in that trend. People from Net Impact attend many of the top business schools. They influence the activities from the social impact clubs. And they help provide support for getting into the industry. I’m glad Kellogg and other ones continue to focus on improving their programs. In today’s economic times, it’s imperative that business school students not only focus on getting a job, but also working for larger scale social good. That they also remember to give back and make the world a better place. Congrats again Kellogg. See below for a blurb sent out to the Kellogg net Impact Club today. The Kellogg School of Management was awarded the 2011 Graduate Chapter of the Year Award at the National Net Impact Conference in Portland, OR on October 29th. This prestigious award is given annually to a graduate chapter who exemplifies the mission of Net Impact: to mobilize a new generation to use their careers to drive transformational change in their workplaces and the world. Net Impact is a global network of MBA students and professionals with more than 280 chapters across six continents. Kellogg would like to congratulate the other two finalists for this award, the Ross School of Business and the Yale School of Management. Thanks to all the Net Impact Community club leaders for their collaboration and support –we couldn’t have won without them! Also, thanks to the Digital Shorts Team, who helped develop a video to showcase our Chapter. It’s time to pop the bubbly! It’s true. Most of my second year classmates at Kellogg don’t spend as much time in Jacobs these days. You don’t see them in the LSR or atrium as much. They don’t have as many group meetings. And sometimes, they don’t even show up for Kellogg events. And it isn’t just because people are busy but also because the MBA version of senior-itis is kicking in. That students are spending more time outside of Kellogg during other things. And this all came to mind because a few weeks ago, I realized the other day that I have not seen a fair number of my good friends at Kellogg so far. This quarter, I’ve seen a bit less of some friends than I did last year. Even some of my really good friends that I spent a lot of time with last year. One reason is because some people are spending a lot more time recruiting now, since second year recruiting happens in the fall. Others are spending more time with small groups of friends, so they do things outside of the Kellogg circle. And others are trying their hand at going to the city more often, especially now before it gets too cold. In addition to Kellogg, I also realized the other day that this quarter I’ve met a lot of new people over the past few week. People from different places. Students from different sections. And people who I’ve never seen before. Some of them are 1Ys. Others PTers. And others, new 2Ys thathave only been at Kellogg for a couple of weeks. Over time I’ve come to realize that there is a trend that happens every year at Kellogg. That the things you do at any given time are a reflection of your stage in the business school cycle. That first years have a routine that they get into. Second years have a different routine. And that JD-MBAs and 1Ys have their unique routines. And all of them change at different stages in the program. One part of everyone’s routine is spending less time at Kellogg as time goes on. Instead, as time progresses, they spend their free time outside of school with friends, in the city and traveling more frequently. This emphasizes the importance of creating friendships with people from your class earlier in the first year. Because in the second year it could prove to be a bit harder. You have to spend more time with them to understand their personal stories and learn more about their career goals. You have to work with them on hard assignments since being in the trenches is a good way to make connections. And you have to have longer discussions with them to see who they really are at the core. Likewise, it also pays off to do the same thing with kids from different classes. Because at Jacobs now, there are more first years than students from my year. So knowing them comes in handy when I’m on campus. In business school, where things move quickly, where technology disrupts all of our lives, and where hundreds of people in each class and not enough time to make friends with most of them, establishing some of these deeper relationships is more critical than ever before. In the past week or two since the passing of Steve Jobs, there has been a lot of press about Steve, Apple, and many of the products the company made. A lot of it has been about how Jobs thought differently. He he had interesting ideas, took risks, and in the end revolutionized business. Given that, the video below about “Thinking Differently” has recently surfaced again over the past few days. 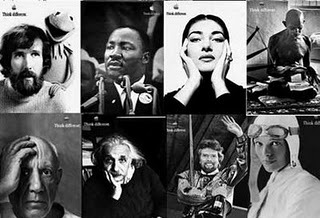 In it, images of transformative people throughout the 20th century are shown as a narrator toasts to them for changing the world. Many of the articles online suggest that the original videos aired years ago. In the version that aired on TV, the narrator is Richard Dreyfuss. But there’s also a second version, where Jobs himself walks us through the video. The latter is the version that I’ve included here. In the end, we can learn a lot from Steve and the video. In business schools and law schools today, people flock to all the same careers, benchmark what everyone else is doing, and value convention over risk-taking. But what if more people “thought differently?” What if they recruited for new industries. And what if more and more people worked on something outside of the traditional scope of the MBA. Maybe one of them would become the next Steve Jobs. And help make the world a more interesting place. Well, if you’d like some inspiration on how to do that, below are the words to the video. And below that is the video itself. On Friday, November 4th at 7pm Chicago time, I’ll be attending an event with Friends of Sinai in downtown Chicago. 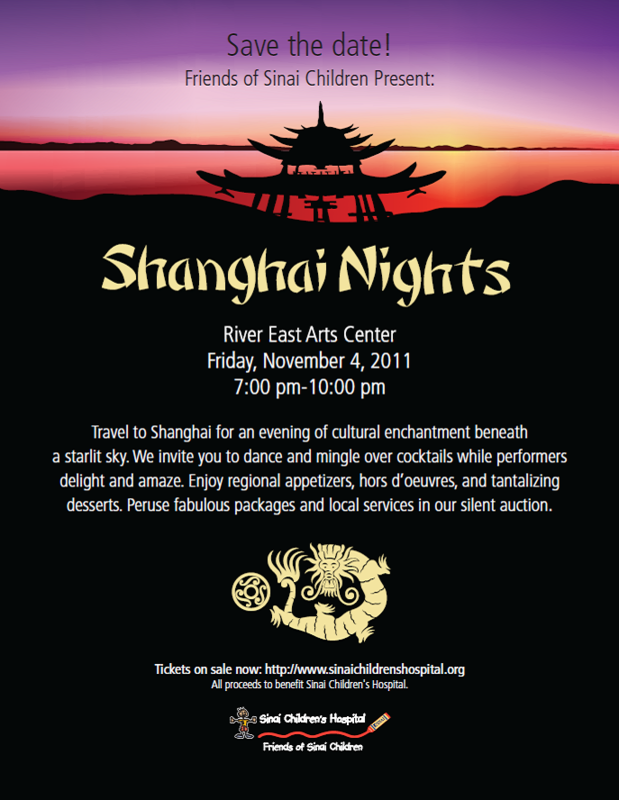 The event will take place at The River East Art Center in downtown Chicago and will benefit Sinai Children’s Hospital. As many of you know, Sinai Children’s Hospital is a children’s hospital on Chicago’s West Side, providing health care to many of Chicago’s under-served children who are at risk for chronic health problems. It will be interesting not only to hear about the things they are working on now but also connect with others that care deeply about the same issues. Hi Everyone, I just wanted to alert you all to an upcoming event in downtown Chicago. The event is next week, and the organization is the Friends of Sinai organization, that supports the Sinai Children’s Hospital. So you’re probably wondering more about the hospital. Who are they? What are some of the things its working on? And what is this event all about? Well here is a bit more information. The mission of the hospital is Friends of Sinai Children is a non-denominational, volunteer organization dedicated to developing resources and opportunities that enhance the quality of life of children touched by Sinai Children’s Hospital. The hospital was established in 2004, and today is the only children’s hospital on Chicago’s west side, provides health care to under-served children who are at greatest risk for chronic health problems, physical and emotional abuse and neglect. Friends of Sinai Children is an associate board of young professionals dedicated to supporting Sinai Children’s Hospital. Friends of Sinai Children has the unique opportunity to support a children’s hospital in an area with extreme need. Volunteers help shape the direction of the Board and make a true difference in the lives of the children treated at the hospital. And events like this help spread the word about the organization, the results that it is making, and help the organization to continue to make a difference. In terms of the event, as I mentioned, the large event takes place on Friday, November 4th from 7:00-10:00pm at the River East Art Center. Tickets include cocktails, OPEN BAR, heavy appetizers and hors d’oeuvres, dancing, raffle, silent auction, and live entertainment, all of which benefit Sinai Children’s Hospital. The event will also be hosted by Stanford alumni Melanie Kannokada. I attended the event last year and it was a fantastic event. Plus, it’s a great excuse to dress up and support a worthy cause. If interested, you can see more details and sign up for the event here. And should you decide to sign up, let them know that my friend Marquis Parker and I sent you. There is a worldwide discussion going on today that distinguishes what it means to be a manager and what it means to be a leader. In times past, the words have often been used interchangeably. But today, the characteristics of the roles are more separated than they’ve ever been before. 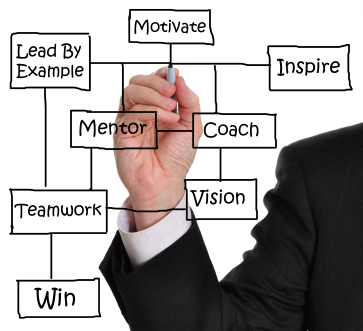 In short, managers as those who direct and help execute for an organization. And leaders are those who guide, inspire and provide vision to the organization. So the question today is, what does really mean? And which one are you? Manager? Leader? Or both? There are a lot of resources out there which discuss the topic. A topic that I’m also interested in. ** I like Godin’s analysis because it mentions how we need both – not one or the other. 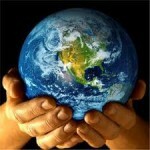 “Not all of us in the world have the privilege of working in something that itself is inherently passionate. Some of us work where it`s like work.But everybody can be in a place where their work is valued, where they have opportunities to grow, where they are respected, and where they can see the connection between their work and the larger purposes that they serve. And that has been something I’ve tried to do at this place. And so I gave a little motto: There are no unimportant jobs at the Harvard Business School. Everybody has an important role to play. And you work in an organization to help people understand that`s not rhetoric. It`s real. …. And that is what leaders do. Leaders instill in people a sense of purpose and they inspire people. They inspire people if they are god. because they connect people to the larger purpose. In the same manner, business schools talk a lot about leadership today. What you can do to lead an organization. What it takes to be effective. Interestingly enough, one of the main critiques of MBA grads is that they have great technical skills but that they also have less than perfect leadership skills. That they don’t always navigate organizations or manage people as well as they could. But instead that they shine because of their analytical and quantitative skills. As a first hand viewer today, I wouldn’t say that the statement is incorrect. After all, that’s what many of the so-called “top” employers look for too. Interviewees that can run the numbers. Create spreadsheets. Produce detailed PowerPoint presentations. And do math in front of them in an interview. Not people that can tell a good story. Manage hundreds of people. Convince the masses. Or come up with a new and innovative idea on the spot. So in many ways there is an interesting disconnect in what leaders do, and what so called “future leaders” are taught. It’ll be interesting to see how this disconnect continues to play out. 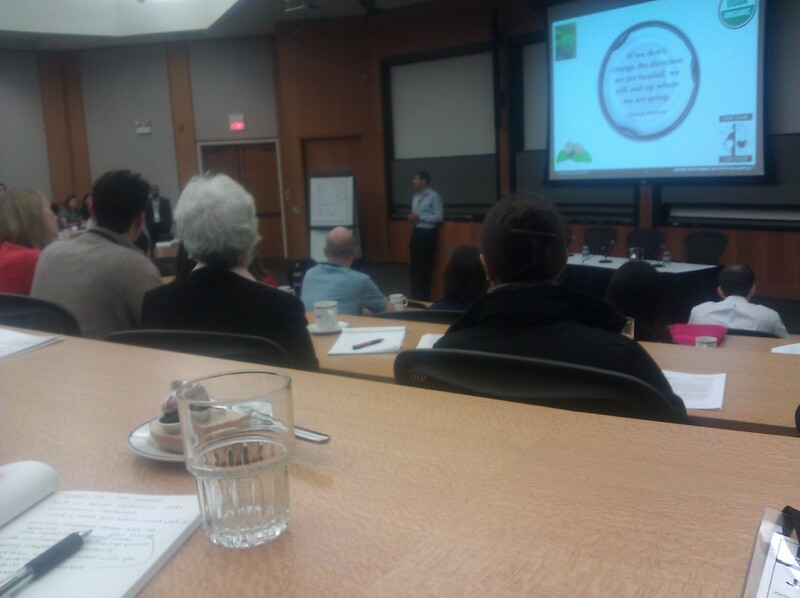 This past Saturday Kellogg held its 12th Annual Innovating Social Change Conference. The Conference is one of the Net Impact Club’s most important events during the year, and it constitutes the largest gathering of game changing social impact thinkers and students here on campus. Participants from all around campus attended this year’s event. And in my view, as well as the opinion of most of this year’s attendees, the conference didn’t let any of us down. In addition to great panels, the conference also featured scheduled breaks to interact with other attendees and panelists, a lunch session to eat with panelists and attendees that have similar interests in in the nonprofit space, and a networking event at the end to meet other students and attendees over a glass of wine. This year’s keynote speakers included Seth Goldman: President and Chief Executive Officer, Honest Tea; Darell Hammond: Chief Executive Officer and Founder, KaBOOM! ; and Lisa Hall: President and Chief Executive Officer, Calvert Foundation. Seth Goldman kicked off the Conference where he talked a bit about his company “Honest Tea” during his opening keynote address. How he founded the company and sustainability initiative. At the same time, Mr. Goldman was optimistic that all the MBAs in the room had the power to change the world by doing the same thing. And that one of the best ways to have that impact was to make change in business because business has access to a massive set of channels. “If we don’t change the direction we’re headed, we’ll end up where we’re going” he said, quoting an old Chinese proverb. He said that we need to move in a different direction and one thing that won’t work is waiting. Darell Hammond discussed his personal experience in the industry. He talked about his work with communities & corporations to build playgrounds and that helps kids. And he also talked about the importance of getting new blood in the nonprofit industry. For his company, he said “We are about the cause not the credit” and that’s the reason you go into the nonprofit space” encouraging us to think similarly. He also said, “You don’t have to start something. But everything you touch, make better.” The idea was that we don’t have to come us with the next novel nonprofit but that we can find a novel nonprofit to work with. In the end, some of the main themes from the conference are some that I write about here on my site. That it’s not just about using your MBA to do well, but it’s also about giving back and to make the world better. And secondly, that the world is in need of people to enter the industry. And that MBAs are prime candidates to take on leading roles and have real impact. And that you don’t have to wait to do that. Many people in business school have interesting ideas. They have companies they want to launch. Projects they want to get started on. Jobs they want to apply to. But often times, they don’t pursue these opportunities right away. Instead, they wait until the the final days before taking action. In some cases, it makes sense because they are good timelines to follow but often times, people only follow them because they are there. So they get busy and don’t take action until the very end. Well, in such cases I propose the simple idea that it might be worth starting sooner. That you don’t have to wait. One thing I’ve learned from being in graduate school is that things get busy and we have deadlines for everything – homework assignments that are due, job applications that we submit, and agendas for our clubs and other campus groups. So we put a lot of things on our calendars, get dozens of reminders a day or two before these things are due, and we only finish some of them right before the deadlines. The same is true in the professional world as well. We set up dozens of meetings in a given week and promise multiple deliverables to clients and internal team members. As a result, we fill our days with other activities to keep us busy while we adhere to these timelines that have been set up. But what if we all asked ourselves the question: can we speed up the date that these things are due? Why don’t we take action sooner? What if we work on our deliverables before we are expected? Would the results be better? And the product be higher quality? After all, the best companies on the planet do that quite well. Consider Apple. I see the same thing happen all the time in business school, where we find ourselves using the days before the deadline as an incentive to finally make progress. Especially on things that have a high initial learning curve. But I’d argue that taking this approach may not always be the best one. Doing it this way means you have less time to get feedback. Less time to think about your strategy. Less time to make revisions. And in the end, less time to produce a quality work product. Don’t get me wrong, I respect deadlines, and adhere to many of them myself. Especially the ones that I don’t have control over. And the ones that are well-timed. But in many cases, I don’t know if we always need them. That instead these artificial dates hold us back. 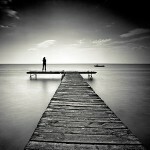 Today, I face this same challenge as I think about the timing for my new website. I wonder when the site should be fully launched? When should I finish my business plan? And when should I tell more and more people about the project? As I think about the timing for all these questions, I hope that I can take action faster. But in some ways that remains to be seen. In sum, don’t wait. Get started now. Ignore bad deadlines. You might be better off in the end. To all the current Kellogg students from the classes of 2012, welcome to campus. I hope you’ve enjoyed the first few weeks back. And to the class of 2013 about to embark on your first year, I hope you are off to a good start so far. In general, I can’t enough about how valuable the MBA experience is. Not only can it be a golden ticket to a new illustrious career, but also an avenue to do some really interesting and high-impact things when you get done. For some, even game-changing things. Given my thoughts on the topic, the Merger (Kellogg Newspaper) recently asked me to write an article, where I talked about just that. It was the only opinion article in the last newspaper. We’ve all heard the theory before. That if you want to do something great, you have to have the courage to pursue your biggest passions. Those game-changing ideas that only come to mind in your bravest moments. But also those ideas that fleet faster than the blink of an eye, when fear takes over. Well, Dean Blount and Kellogg recently agreed with this theory when they released Kellogg’s new school new slogan – Think Bravely. What does it actually mean to think bravely? A number of things come to mind. Thinking more about your passions. Taking bigger risks. Finding new opportunities for change. And thinking about what you can do to change them. Well, ever since getting an email from the Dean on July 12th this summer, Dean Blount has spent a lot of time trying to explain even better. She’s put out multiple press releases, made changes to the website, and updated most of the marketing materials. And over the last few months, the slogan has really gotten a lot of buzz. And, no, I don’t just mean the alliterative names that people have come up with at the Keg. During convocation in August, the Dean talked about the need to create leaders with the willingness to “do something different” and “challenge convention,” but that today, society is surrounded by just the opposite. She noted failures by the world’s top companies; scandals from the most well-known CEOs; and ill-judged decision-making in different industries (e.g. BP’s Gulf of Mexico disaster). She also introduced new staff member, Elisabeth Ziegler, who had been named Associate Dean of MBA Programs (e.g. COO of Kellogg). “Betsy” comes to Kellogg after graduating from HBS, spending 13 years with McKinsey, and turning down countless stock options to work at the fastest growing company on the planet. And she did this all for the chance to come work in the education space. 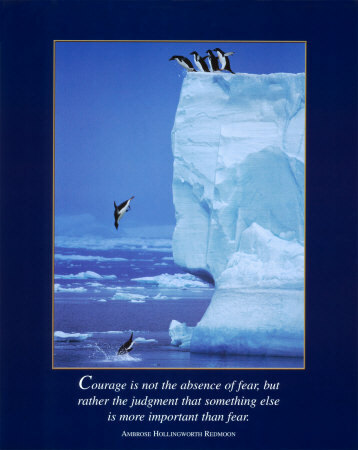 A decision many consider to be brave. The idea is that Kellogg got where it is today, because the school and its people started by thinking differently. That they cared deeply about thinking outside box and figuring out how to get people to work in teams to have more impact. And that new staff members and students should embody that same spirit. But Kellogg isn’t the only one thinking about it. In a recent talk, Alyssa Rapp, CEO of the internet start-up Bottlenotes, once said the same thing. That “you have to be brave.” That it’s not just about going to a top school and chasing a high-paying job. But it’s about finding new opportunities. Alyssa followed her own advice when she passed on illustrious opportunities at Stanford GSB and spent her summer at a winery in South Africa to start her business. Well, being brave paid off when her company took off and she was named a “Top 30 Under 30” entrepreneur by Inc. Magazine. Today, these ideas also echo in the halls of Kellogg, as first years think about what to get involved in, and second years are thinking about their careers more than ever before. Will we risk it all to be great and pursue the career we’ve always dreamed of? Will we walk away from a top offer in today’s economy to do something brave? And will we start a new company without the stability of venture funding? As we embark on the new year with almost endless career options in front of us, the million-dollar question is, what are we going to do with them? How will we leverage the business education we receive? Where are there opportunities to use it for change? And will we spend our time thinking about how we can change them? Personally, I agree with Kellogg that we have to “Think Bravely” about these questions. And I challenge the entire student body (including myself) to not be afraid. But instead, take bigger risks. Go where no one has gone before. And risk it all to do something great. Welcome back to campus, classes of 2012 and 2013. I look forward to hearing about the brave things you get involved in this year. 1. 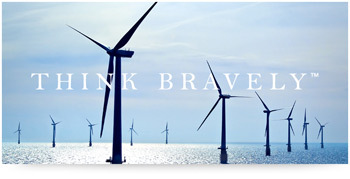 * CLICK HERE to see the Think Bravely Video that Kellogg put together. 2. Please let me know if you have any comments or feedback. After months of waiting to start in business school, the Kellogg class of 2013 is finally in full swing here at Kellogg. But before any of the on campus chaos ever began, students had the once in a lifetime opportunity to go to KWEST (Kellogg Worldwide Experiences and Service Trip). As part of KWEST, most of the trips took part in a service activity abroad. Well the point of this article is to tell you a little bit more about how KWEST Ecuador is changing the world. In general, students could tell by the description which trips were more heavily focused on service than others, and some students used that when helping to decide which tirp to take part in. Some trips focus heavily on service. For the leaders, it’s a way to give back and so spending a few hours is something they definitely want to do. For other trips, the leaders aren’t necessarily as focused on the service activity. Those trip will put in the service time but often do activities that may not be as high value. And other trips would prefer not to spend as much time on the service component. These trips will often do an activity simply to check the box. And this year, some did their components in Evanston before the trip, or in some cases after the trip. In terms of Ecuador, our goal was to really have a substantial service portion. Not only only did we want our KWESTees to meet new students and have a blast in Ecuador but also find a way give back to the community we were visiting. To show that Kellogg students aren’t just about doing well, but also doing good. To hear more about the actual activity, see our short article about the experience below. Crossing rivers, climbing up and down hills, cutting across thick undergrowth and marshes while braving the heat of the equatorial sun at times and heavy tropical rains at others- sounds like an exotic, adventurous holiday to most of us. 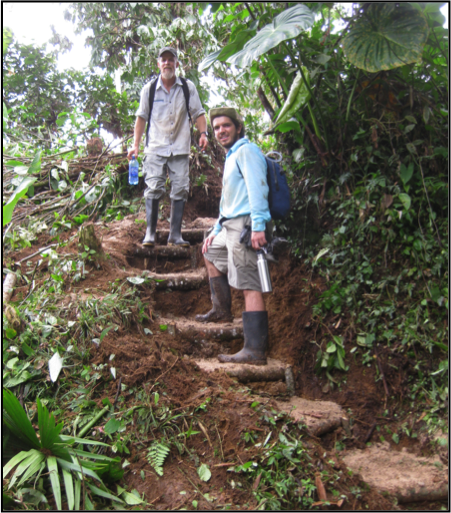 But, this is what children in rural Ecuador must overcome to reach school every day. Very obviously, attendance on most days is very low, which has led to dire consequences for the nation’s future and economy. Poverty in the nation’s coastal and mountain regions has increased by 80 percent over the past decade. A recent UNICEF study indicated that only 67 percent of Ecuadorian children finish elementary school. Though the cost of primary and secondary education is borne by the government, families often face practical challenges of taking children to school because of the lack of basic infrastructure. 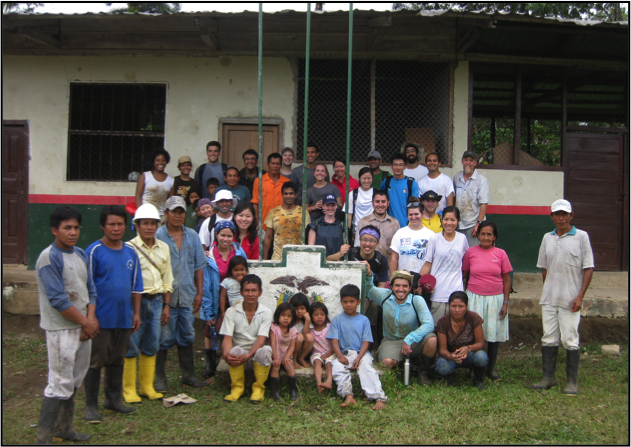 With this in mind, on August 24th 2011, the KWEST Ecuador family of 25 helped locals in Kuaupo Macana village nearTena, Ecuador to build a path that children can use to walk to school every day. Escuela al Campo #238 is a school of 30-35 children and attendance has been very low in the past – especially during certain parts of the year when the path leading from their homes to the school is too wet with deep mud to navigate. A new path was built by KWESTees alongside Ecuadorians as part of their “MINGA” (community work day where at least one parent of children attending the school must be present, send someone in their place or pay a fine). Local village engineers had planned the half day project in two stages. 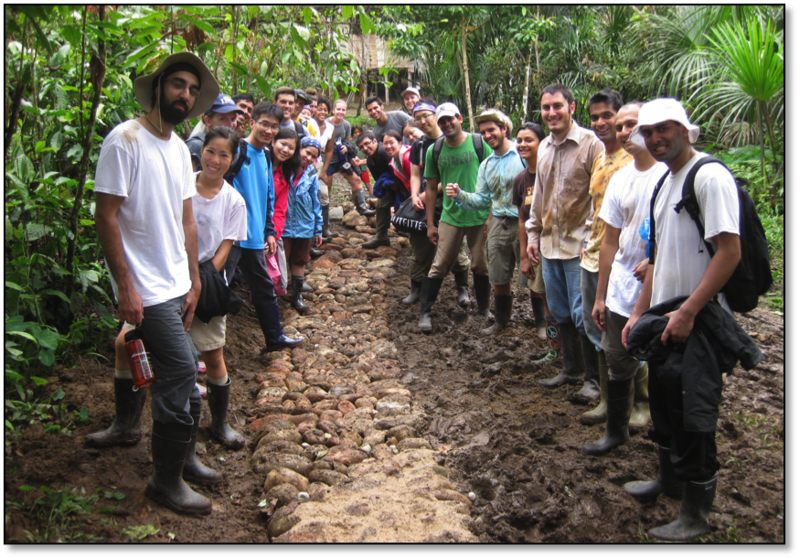 The first half included cutting back vegetation and carrying rocks up from Inchillaqui River to the end of the muddy trail near the school. A human chain was created and after a few hours of labor the ground had been cleared and rocks ranging from 5-50 lbs. had been collected. After a short break of fruits and a refreshing Yuca drink provided by the school the KWESTees began the second phase. All rocks were laid in place and rammed to finish a usable path. While one group finished the path, another continued to supply small rocks and logs to construct steps where required. A few more laborious hours later the KWEST family ended up with a largely finished pathway as well as some cuts, bruises and insect bites- battle wounds true to the spirit of a jungle warrior! The group focused on covering the most critical and treacherous parts of the path while the most labor was available. With a strong start and a large, visible improvement, the village will work to fill in the gaps on the easier-to-traverse patches over time. The project ended with a thank-you speech by the village head on the school grounds. While the community was grateful for our hard work we were appreciative of getting this opportunity to work alongside the indigenous community and contribute to their future growth. The school expects to grow in numbers and the new trail will only help the cause. 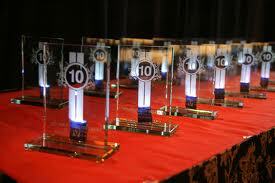 On Monday, October 10th at 6pm Chicago time, I’ll be attending an event with Mayor Cory Booker in downtown Chicago. The event is held at Luxbar and is geared specifically at young professionals. 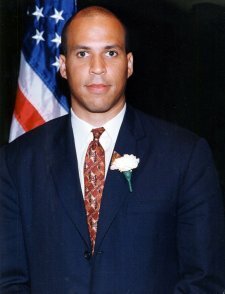 As many of you probably know, Mayor Booker has had tremendous success during his tenure as Mayor. He has worked on issues like educational reform and he has been striving to make Newark a model for successful urban education. It will be interesting to not only hear hear his thoughts about Newark but also about his plans to improve education in the future. So you’re probably wondering, what are some of his ideas? What are some of the things he believes in? And what is his vision for the future? Since being elected into office, Cory has undertaken a few public interviews explaining. On Morning Joe’s Education Nation on MSNBC, he discussed Education Reform (CLICK HERE to see what he talked about). Similarly, on NBC Nightly News with Brian William’s, he discussed the report on Newark Public Schools and the Mark Zuckerberg $100 million challenge grant (CLICK HERE for the video). Further, I might also recommend checking out this great speech he gave at Williams recently. According to Cory’s web page, you can also see some of the issues he believes in most. He posts a PDF entitled 25 accomplishments in 25 months. Likewise, he also posts collection of videos and articles HERE that discuss the ideas he considers most important. The buzz today is that Booker represents a new generation of leadership in the US. And that he is transforming Urban America one day at a time. This is why a number of people are going to enjoy going to the event in Chicago next week. So if you feel inspired by reading his background, then perhaps you will join in at one of his events around the country. The one in Chicago is on 10/10. Let me know if you’ll be there. You can see more details and sign up for the event here. And should you decide to sign up: you should sign up using the names of my good friends … and change agents Emanuel Pleitez and/or Suneel Gupta. The ability to negotiate well is one of the most important tools you can have in business. Not only do you negotiate deals with clients and vendors but you also spend time negotiating on your own behalf. For example, we all have to negotiate our own salaries and employment terms. Well, in spite of their importance in business, negotiations is also popular at the law school. And this semester, I’ve been enrolled in a negotiations course where we are learning many of the basics about how to negotiate going forward. This semester I am taking a negotiations course at the law school. As a JD-MBA, we have the choice to either take the class at the law school or at the business school; and either way, the units count for both schools. As far as I gather, the two options are pretty similar conceptually. But they do have a couple of tangible differences that can influence which school we decide to take the course at. The first difference is the principle versus agent distinction. At Kellogg, you negotiate as the principal. This means you take on the role of CEO, or newly hired employee, and think about what your interests are. From there you determine the best strategy and negotiate to come up with the best deal possible. On the other hand, at the law school, we negotiate as agents (e.g. lawyers). In that role, we think about the best interests of our client, take on the role as representative, and work to structure a deal on the client’s behalf. Unlike our professors at Kellogg, our negotiations professors at the law school are not tenured professors. Instead, they practicing attorneys, who not only negotiate for a living but also get trained to teach negotiations throughout the semester. Another distinction is the type of students in the class. On the business side, you have people with more experience negotiating. They’ve negotiated deals at banks and consulting firms. They’ve negotiated employment agreements more often since they’ve worked longer. 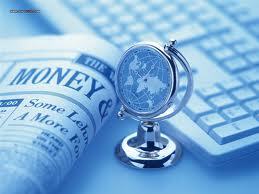 And they have more work experience generally, so that lends itself well to understanding terms of a negotiation. On the other hand, law students tend to be a lot more aggressive. They read more details of the case. Find more loopholes. And are a bit more focused in trying to win. And finally, another difference is the type of professor that teaches the course. Unlike Kellogg, where negotiations courses are typically taught by tenured faculty, at the law school the class is taught by practicing attorneys. 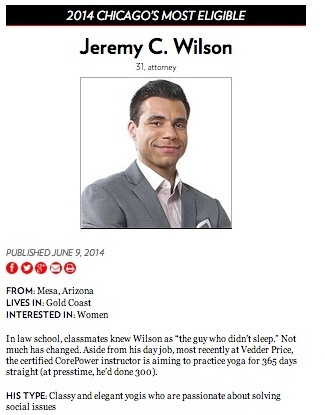 My class is taught by a corporate lawyer at Sidley Austin. 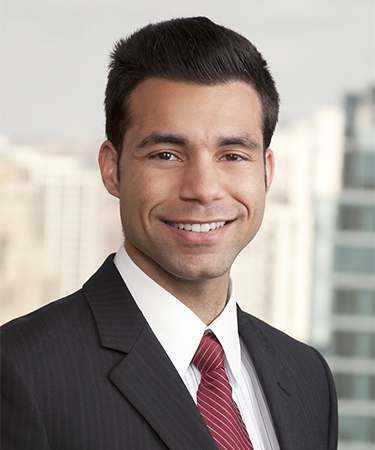 He focuses his practice on real estate transactions, where he represents international lenders, real estate funds, investors, public and private companies, and developers. 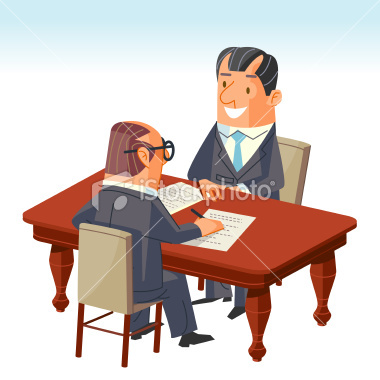 In general,the course is broken up into a number of negotiations – we usually have one negotiation per week. Before each negotiation, we do a pre-negotiation analysis where we discuss these concepts in the confines of our own positions and interests. This is helpful because it ensures we come to class very prepared. Likewise, after the negotiations process, we spend the class discussing some of the fundamentals of negotiating. So we talk a lot about things like BATNA, zones of interests, mutual gain, concessions, and reservation points. The terms and tools are good because they help you to remember what things to think about; how to understand your opponents underlying interest; and how to consider the importance of ethics in the process. In sum, I’d say that the best negotiators create the most value possible, take their fair share, give others value as well, but prevent themselves from being exploited by the other side. In the end, it pays to know your opponent. Know their strengths and weaknesses. Understand your interests and theirs. And analyze who has the upper hand. One question on everyone’s mind these days is what are you going to do when you graduate? Have you decided on your summer offer yet? What geography are you going to live in? No matter how hard many of us try to avoid the question, at some point soon many of us are going to have to answer. Especially now. As job postings are starting to expire on the Career Website. And as interviews are just a few weeks away. In the end, this makes many of us wonder how the second year experience will actually end up playing out. Will it be fun? Or will it be a lot more work than expected? Overall, everyone hears that second year is supposed to be a lot of fun. No more core classes. No more morning classes. Not overwhelmed with extracurricular activities. And hopefully job security at the beginning of the year. For most, the summer was a bit of a wake up call. That no matter what job we had – even if was our dream job – work was still work. And no matter how bad school might seem in the moment, it’s still usually a lot more enjoyable than work. The bankers and consultants definitely understand the concept after the number of hours they worked this summer. That eventually, the “two year vacation” will come to an end so they have to make the most of it in the second year. 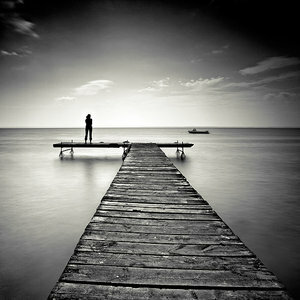 Likewise, career changers are also nervous about embarking on a new career and seeing what will be in store for them. For everyone, in school, we spend two years looking at the world through eyes of the CEO and through the lense of the investor. But after the second year is over, then many of us are back to the trenches. To do the due diligence. Run the analysis. Edit the documents. Create the slides. And travel back and forth between clients. In that sense, the Kellogg environment, and the Evanston bubble, is pretty nice. We get to be more academic and get to have more fun for a two year period. But soon enough, we’ll have to change again. We’ll have to perform again. We have to get reviews again. As a result, many people are thinking a lot about how they want to spend their second year. How much they want to recruit for the job of their dreams. When to give in and accept an offer. How hard to work in class. And how to take advantage of everything they didn’t get to do before school. In sum, they wonder how to spend their second year. How would you spend your second year in business school?